The federal government recently announced support for the preservation of Indigenous languages in Saskatchewan. The announcement took place at the Saskatchewan Indigenous Cultural Centre (SICC) on September 11 where Minister of Canadian Heritage and Multiculturalism Pablo Rodríguez announced the Government of Canada will provide $2.3 million over two years to preserve, promote and revitalize Indigenous languages in the province. This funding, provided through the Aboriginal Languages Initiative (ALI), will be managed and administered by the Saskatchewan Indigenous Cultural Centre (SICC). Other projects will be funded which includes language classes, camps and product-based resources that are offered to First Nations communities across the province. According to the Budget 2017, the Government of Canada committed $89.9 million over three years to preserve, promote and revitalize Indigenous languages and cultures. 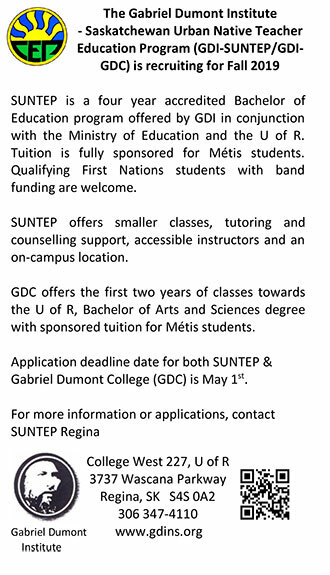 The fund for Indigenous languages revitalization in Saskatchewan is based for two years. With this funding announcement, it demonstrates the federal government aims is to reverse the decline of Indigenous languages by working with First Nations, Inuit and Métis communities to keep their languages alive.